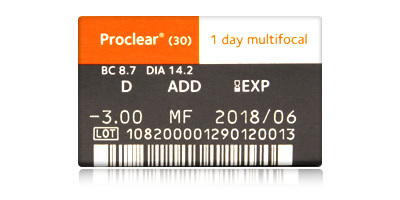 From trusted manufacturer CooperVision, Proclear 1 Day Multifocal lenses offer the quality of vision correction provided by glasses with the convenience of daily disposables. 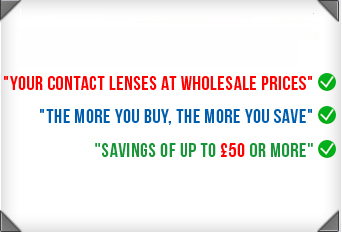 Why put up with the inconvenience of having to switch between two pairs of glasses when this single multifocal lens can do the same job with no fuss or discomfort? Smart design and sophisticated comfort features make CooperVision, Proclear 1 Day Multifocal lenses an excellent alternative to monthlies and free wearers from their time-consuming cleaning and care routine. Wearers experience consistent vision at any distance and can choose between a wide range of powers, binocularity, and boost in the non-dominant eye. Made from a unique PC hydrogel material, Proclear 1 Day Multifocal lenses keep hydration levels topped up and have excellent breathability. Eyes stay clear, bright and healthy all day thanks to a technology which attracts and locks moisture into the lens. 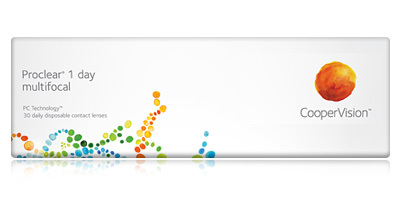 PC hydrogel contains molecules which occur naturally in human cell membranes. These molecules mimic the effects of human tears for all day hydration, making Proclear 1 Day Multifocal lenses particularly good for those prone to dry eyes and ocular allergies. These lenses are also good those who currently wear daily disposables but are becoming presbyopic. 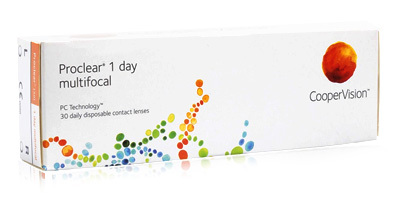 Please contact us on freephone 0800 037 4000 with any enquiries regarding these daily disposable lenses and any other products featured on ContactLensesExpress. Place an order for Proclear 1 Day Multifocal lenses with us and get express delivery to your doorstep. 98% of orders are usually despatched on the same day as placement.